The Sass make-up is a fabulous make-up set, inspired by the RL Drag Queen Valentina. You can now wear her distinctive graphic eyebrows and, smooth makeup. If you wish to wear the contour layer, please make sure to wear it first, and to "add" the other layers on top. For best results, use a brows-less skin. I've also included a basic set of modifiable lashes. This make-up is optimized for the Annie mesh head, therefore some variation may occur on other heads. 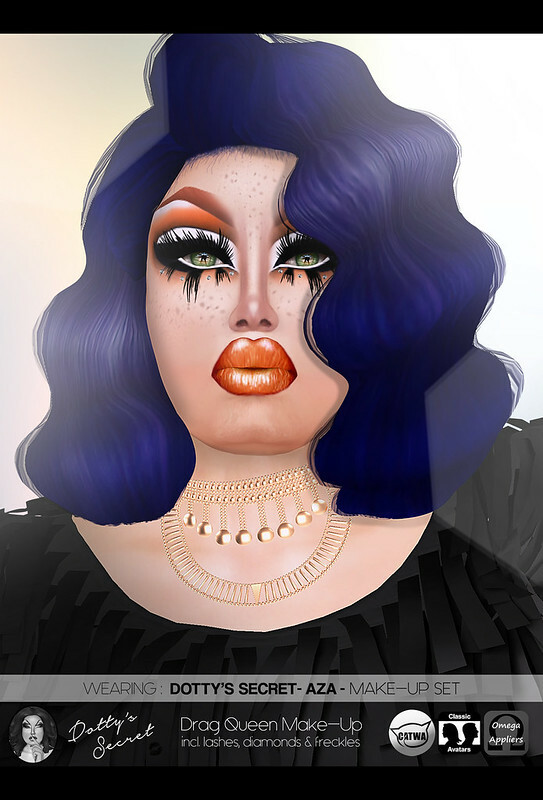 I highly recommend to use a brows-less skin for full Drag effect, otherwise the brows texture might appear behind the make-up.